Mr. Davis is a respected executive and strategic advisor with over 20 years of experience. As a Managing Director at SenaHill he is focused on all aspects of investment banking for the Financial Technology sector. He has been active in the Data & Analytics, Marketplace Lending, Robo Advisory, Fixed Income, Blockchain and Crowdfunding verticals. Throughout his career, Mr. Davis has advised on over $14 billion of M&A and capital raising transactions for his clients. After having worked at several bulge bracket firms, Mr. Davis founded Barrington Capital Advisors, LLC, a research and advisory practice where he advised financial institutions, hedge funds and other small to medium sized businesses. Previously, he was a Vice President of both Business Development and Institutional Sales at The Receivables Exchange, a Bain Capital Ventures backed company. Prior to that, he was an investment banker in the Financial Institutions practice at Banc of America Securities, Credit Suisse First Boston (through its acquisition of Donaldson, Lufkin & Jenrette) and J.P. Morgan Securities. 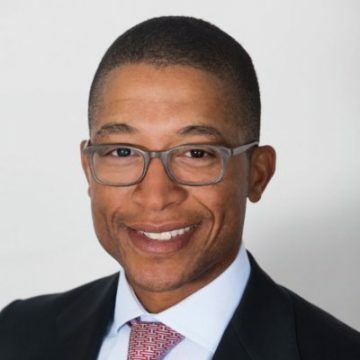 Mr. Davis graduated with a Bachelor of Science in Finance with distinction from Georgetown University and a Masters in Business Administration from Harvard Graduate School of Business. Mr. Davis has public and private company board experience.